As Americans we love our freedoms but sometimes we often forget the extreme price that has been paid for those freedoms. We can easily get caught in our day-to-day routine of balancing family with work and navigating such busy lives that we sometimes forget how blessed we are to not just live in a prosperous nation but also one that enjoys such incredible freedoms. As we go to picnics, parties and gatherings today, we need to remember the thousands of patriots who have gone before us sacrificing their lives, their blood and their families so that we can enjoy such human freedom that was once only imagined as a dream. We thank God everyday for our military and their families who give up so much so that we can be free. Thank you to each of you who are currently serving right now to make sure that these shores are protected and our rights and freedoms continue. Thank you to the families who watch as their loved ones leave for long periods of time to put their lives on the line for millions of fellow Americans that they’ve never met. And we thank God for giving us the honor of living in a country where we value freedoms and each other so much. We hope that each day serves as a reminder of the blessings given to each of us from above. May we continue to fight for freedom, both here and elsewhere, defending those whose voices have been silenced and whom God asks of us to help. On this Memorial Day, we hope that we all can come together, in spite of our differences, to thank those who have given their lives so that we can all live in peace and be free. There’s just something about Independence Day that just makes you feel down right good. Whether it’s the cookouts with the family, basking in the warm summer sun, jumping into a refreshing pool, or gazing into a sky glittered with dazzling fireworks, the Fourth of July is the crown jewel of the summer break. 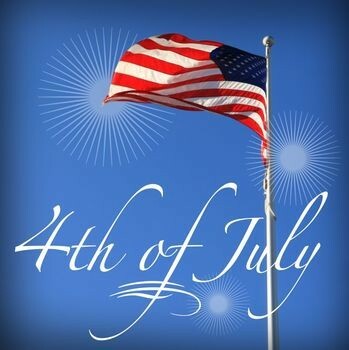 And while it’s a great day to celebrate all that is summer, Independence Day is one to be remembered as a the day that God sparked a fire inside the hearts of brave men & women to stand up and chart their own destiny. The Fourth of July is a celebration of rebellion against tyranny, oppression and a victory of the rights of man. Our founding fathers put their lives on the line so that their children and future generations of Americans would be able to live free and successfully without an oppressive government controlling every detail of their lives. 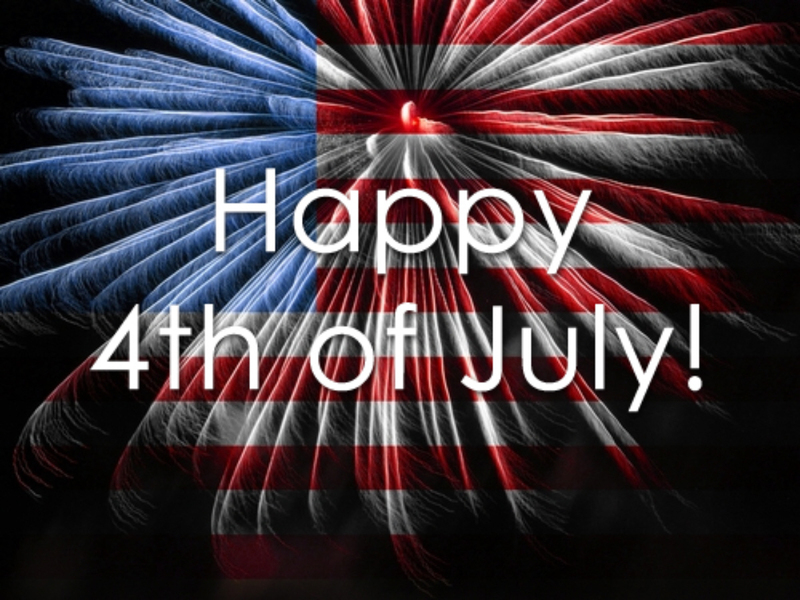 Today we celebrate all that it means to be free, to be American. We have been given the opportunity, within reason, to choose our own path and be whomever we want to be. But on this day of celebration against tyranny, we can’t forget that the real fight is not yet over. This is not the fight against man, it’s the fight against spiritual tyranny. So many of our fellow Americans are not free because of various opportunities or choices made. They are bound by seriously destructive sins. They are being controlled by a tyrant of epic proportions whose whole goal is their destruction. And that’s why we’re here. The Hope Center values freedom. We want people to be free spiritually to be all that God intended them to be. Whether their choices left them addicted, homeless, broke, hungry, angry, alone, scared, desperate or confused, we’re here to tell them about true freedom, freedom in Christ. We want them to know that God has written, for them, a Declaration of Independence and signed it in the blood of Christ. They’re already free from sin. God already fought the enemy and won the victory. All they need to do is choose. At The Hope Center we help them understand that they are not alone. We want them to know that mistakes, bad choices, unfortunate circumstances don’t dictate their spiritual freedom for eternity. We don’t force anyone to choose, but we don’t hide the truth from them. Just like our Founding Fathers wanted, they are free to make their own decisions, and we are here to help them choose wisely. As you join with your family & friends to celebrate America’s independence, remember to pray for those who are still battling for their own independence from sin. Pray that Satan will lose his grip on their hearts and minds. Pray that our staff & volunteers will show them the love, compassion and understanding that is needed to win this fight. Thank you for helping us help others. Through your prayers, donations, financial support, and volunteer hours you have helped us continue to fight the good fight and encourage, help and heal those who are hopeless and lost. We appreciate and value your contributions to The Hope Center and all the various ways that your generous heart has helped us change lives for Christ! Enjoy your holiday with those who are important to you! Thank God for your freedom! And pray for those still searching for their own day of independence!